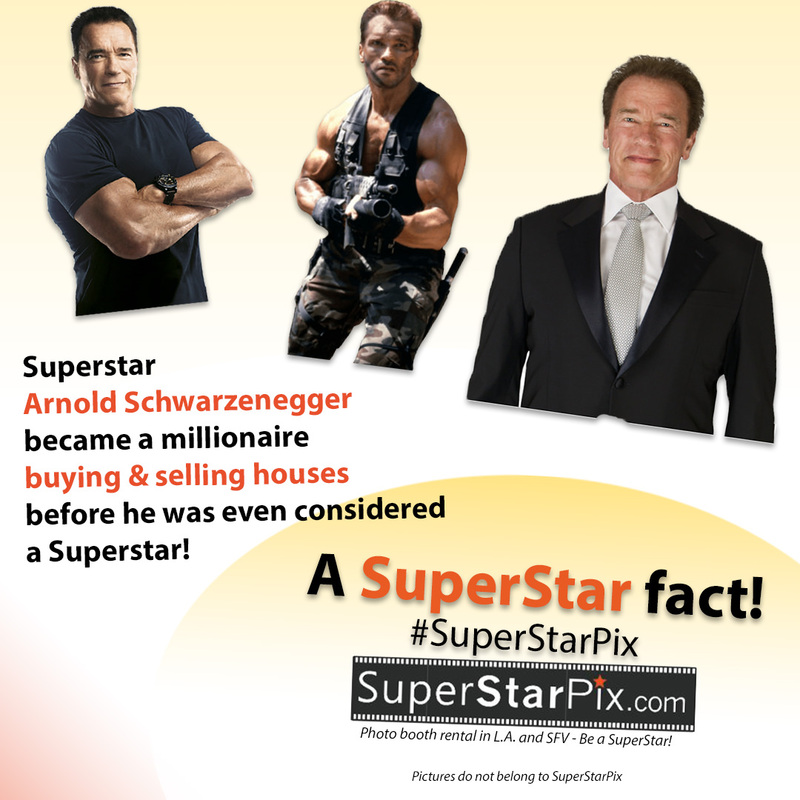 When he first came to Los Angeles, and before he rose to superstar status, Arnold started a bricklaying business and became a millionaire after buying and selling houses! This was before he was considered a superstar by any standards! Arnold is world-famous today, because he convinced people in the 70’s that they should pay him double to do the same job as someone else just because he had a “funny” accent. Talk about being unique! As unique as he sounds SuperStarPix is intrigued about Arnold’s known fact. Talk about being unique! As unique as he sounds SuperStarPix is intrigued by Arnold’s known fact. What is the difference between a SuperStarPix photo booth and others? We do not have thick European accents but we are dedicated (just like Arnold) on making you be the superstar of your party! Imagine guests celebrating like a superstar! Even if it is a wedding photo booth, party photo booth- Know that SuperStarPix is here for your call!